If you're still on the great sandal hunt and are looking for something a little extra special, there is one pair of Zara shoes that are making our editors giddy, and we have Mary-Kate and Ashley Olsen to thank. Fashion editors have been raving about Zara's £26 satin bow slides—available in navy blue and a rich gold—for weeks. The Olsen twins sparked our satin slider obsession, thanks to their ruched slides at The Row, while Prada and No.21 are getting in on the trend as well. And we have it on good authority that they're almost as comfortable as slippers. Scroll below to shop our edit of the seven best satin slides right now. These Prada slides will go with everything you own. 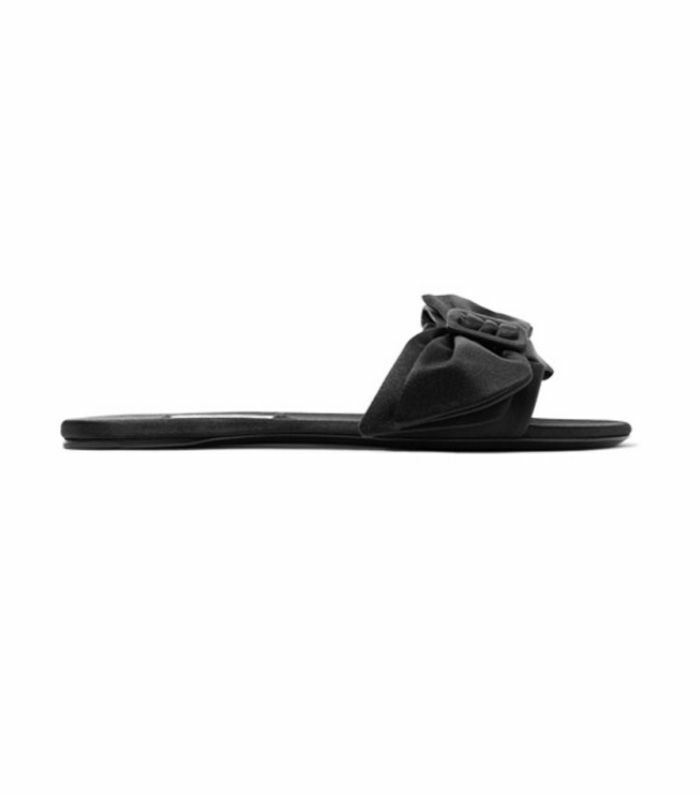 These Zara Basic slides look way more expensive than £26. These are also available in lilac. Trust Mary-Kate and Ashley to create the dream pair. We love this pearly pink. The gold Zara version is seriously good. These are a simple classic style. We love the dramatic bows on the No.21 sliders. Next up, see the eight sandals that will see you through the entire summer.